Go for laid back luxe with these grey cropped joggers. Featuring drawstring waist, pocket detailing and cuff edging on the cropped leg, these grey joggers will ensure you're always in style even when keeping is casual. Timelessly elegant, these Princess Flower collection Earrings by Roberto Coin will quickly become your go-to piece in your jewellery box. 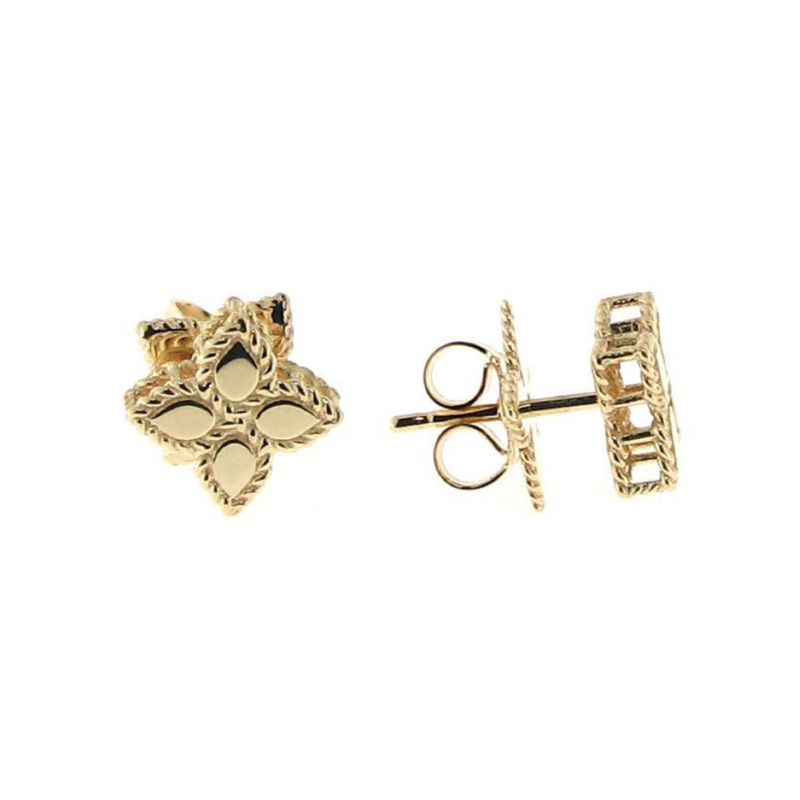 Beautifully crafted in the finest 18ct yellow flower-shaped stud Earrings. The Earrings feature Roberto Coin's signature hidden ruby to wish the wearer a life filled with happiness.